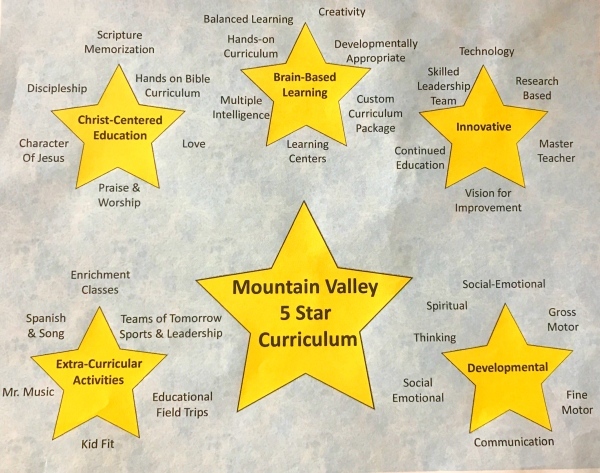 Mountain Valley Child Development Center follows the Faith-based Pinnacle Curriculum. 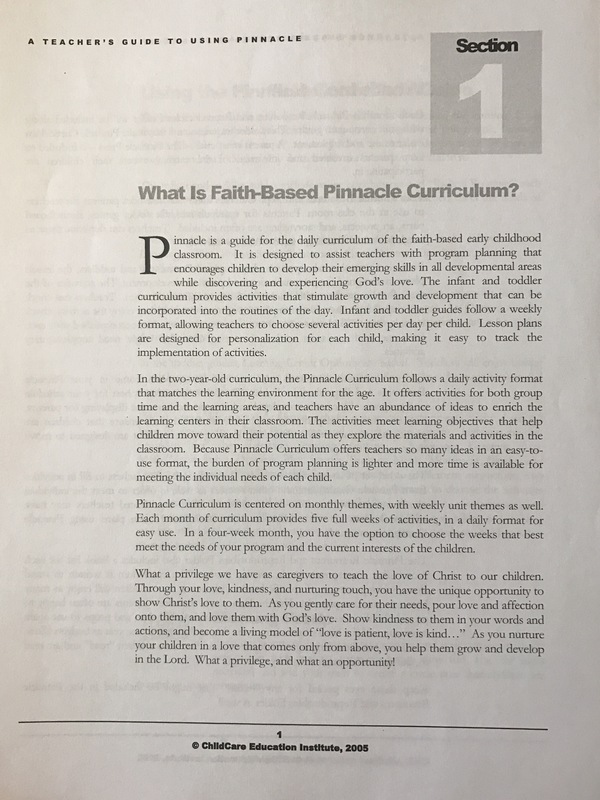 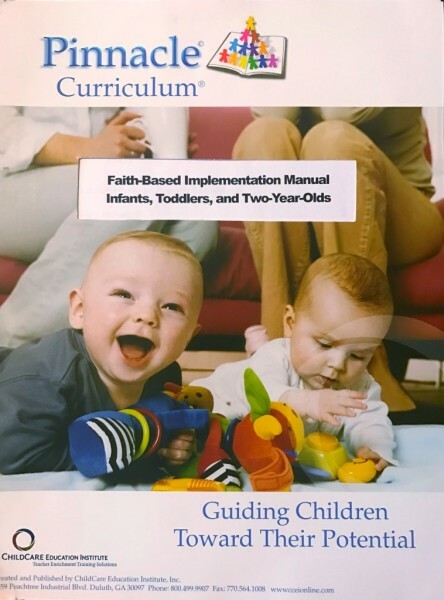 Pinnacle is a guide for the daily curriculum of the faith-based early childhood classroom. 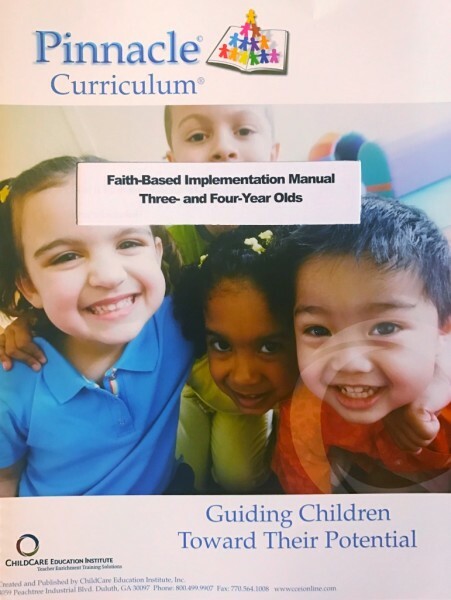 It is designed to assist teachers with program planning that encourages children to develop their emerging skills in all developmental areas and experience God's love. 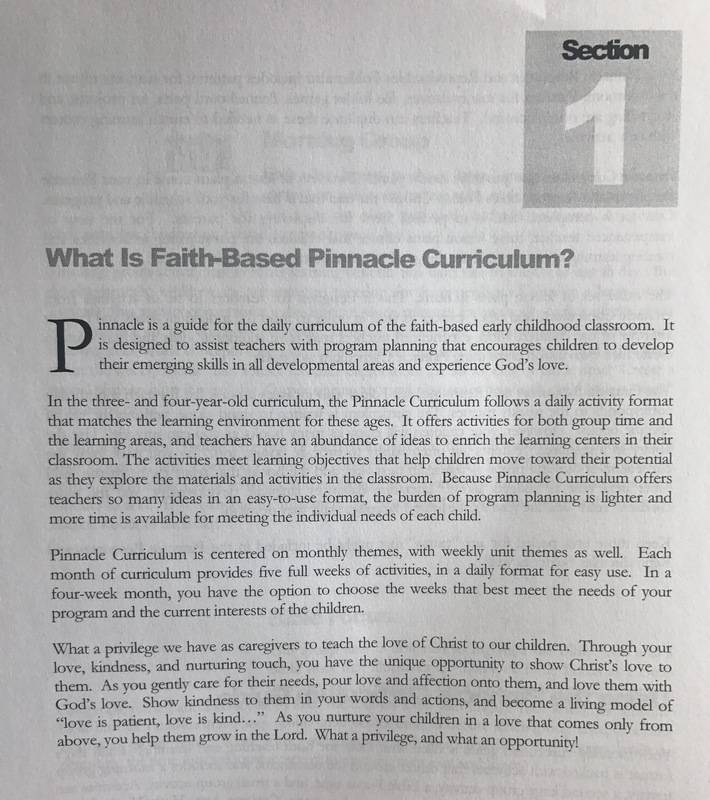 Pinnacle Curriculum is centered on monthly themes, with weekly unit themes as well. 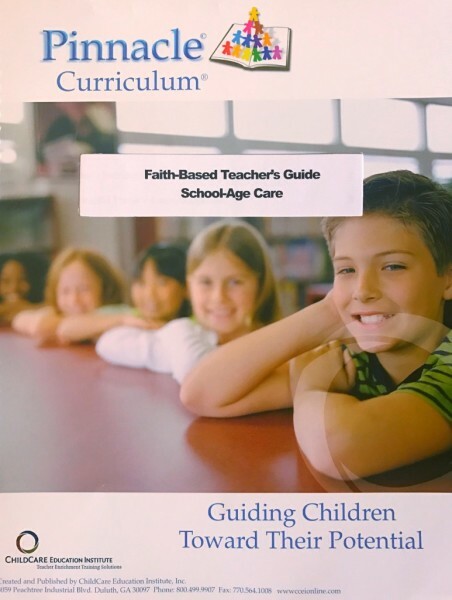 Each month of curriculum provides five full weeks of activities, in a daily format for easy use. 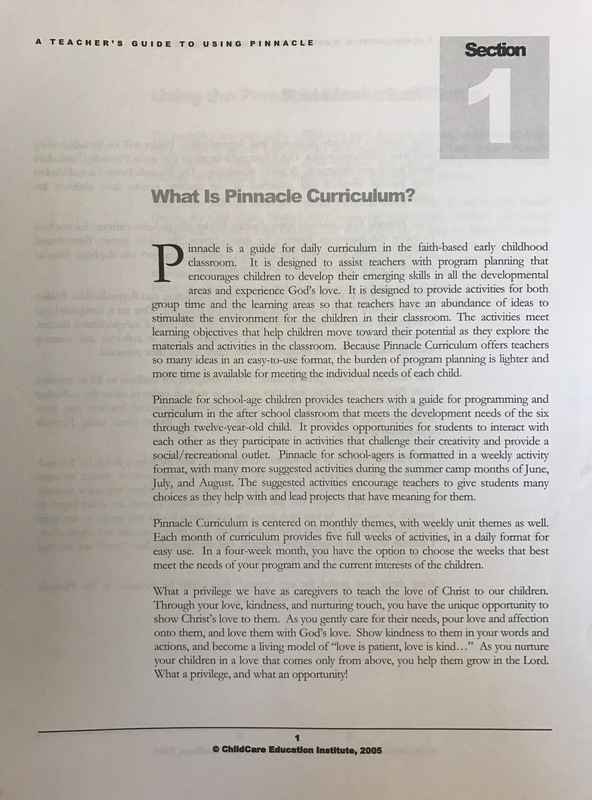 In a four-week month, you have the option to choose the weeks that best meet the needs of your program and the current interests of he children.